← Fake TNB worker, Genuine Robber: At last, they caught one. Just one. In the incident which occurred at 5.45pm on May 15, a man, identified as Alif Adam Mohd Munaim alleged he was dragged out of his vehicle and beaten up by three individuals, including the assemblyman. He also alleged that his girlfriend, who tried to break up the fight was beaten up and sought treatment at a private hospital. Kedah lawmaker admits to being at the scene but denies causing any harm to the man and his girlfriend. ALOR SETAR: The police have recorded a statement from a Kedah assemblyman who was alleged to have assaulted a man on May 15. Kota Setar police chief ACP Mohd Rozi Jidin said the assemblyman gave the statement last Friday night, and admitted to being at the scene in front of the Aman Central shopping complex here. He said in the statement, the assemblyman denied hitting the man and his girlfriend, as claimed on Facebook recently. ALOR STAR: The police have recorded a statement from a state assemblyman who was alleged to have assaulted a man on May 15. He said in the statement, the assemblymen denied hitting the man and his girlfriend, as claimed on Facebook recently. “The incident was more of a misunderstanding between the two parties, and there may be elements of dissatisfaction. We will continue with the investigations. “We have taken statements from several witnesses, and will also take a statement from the girlfriend, who is currently in the capital city (Kuala Lumpur),” he said when contacted today. 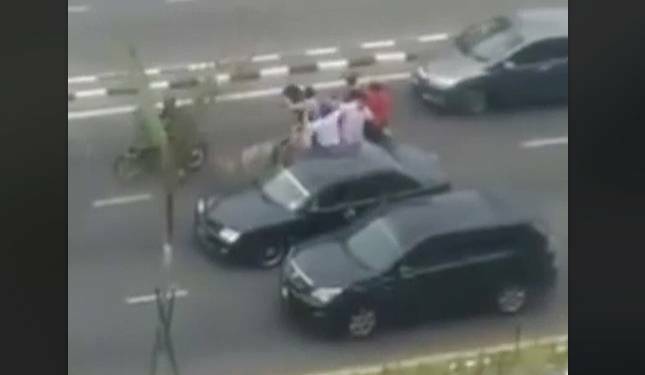 ALOR SETAR: A video of a state assemblyman and several others allegedly assaulting a man and his girlfriend in the middle of a busy road here has gone viral on social media. The victim, identified as Alif Adam, recounted the incident in detail and included the 35-second video clip in his Facebook page under the name Adam Hoonigan. In the incident which occurred at 5.45pm on May 15, Alif said he was driving his car out of the Aman Central mall to the Lebuhraya Darul Aman when a black Toyota Harrier stopped on the left lane and honked at him. “The driver of the Harrier, in his 20s, wound down the window of his car and repeatedly shouted at me ‘Kenapa? Kenapa? Hang tak kenal lagi aku siapa (What’s up? You have no idea who I am)’, and told me to come out from the car,” he said. “One of the passengers in the Harrier, in his 50s, came out and opened my car door, punched me in the face and took away my car keys. “I managed to punch him back after he pulled me out of my car. “The man continued to beat me up with the help of two other passengers, in their 20s,” said Alif. “My girlfriend, who tried to stop the fight, was also beaten up and was punched in the chest and had bruises on her hands,” he added. This entry was posted in Uncategorized and tagged an ye up, malaysia, man ckains BN assemblyman beat him up, politics. Bookmark the permalink.